Although Screamfest takes place in October, the creative team behind the festival celebrates horror all year long with their "Fears & Beers" screenings and Q&As. This week, Screamfest will kick off a new year of horror celebrations with a "Fears & Beers" screening of the new rock and roll creature feature Dead Ant, followed by […] The post Screamfest’s “Fears & Beers” DEAD ANT Hollywood Screening to Feature Q&A with Tom Arnold, Sean Astin, Jake Busey & More appeared first on Daily Dead. Although Screamfest takes place in October, the creative team behind the festival celebrates horror all year long with their "Fears & Beers" screenings and Q&As. 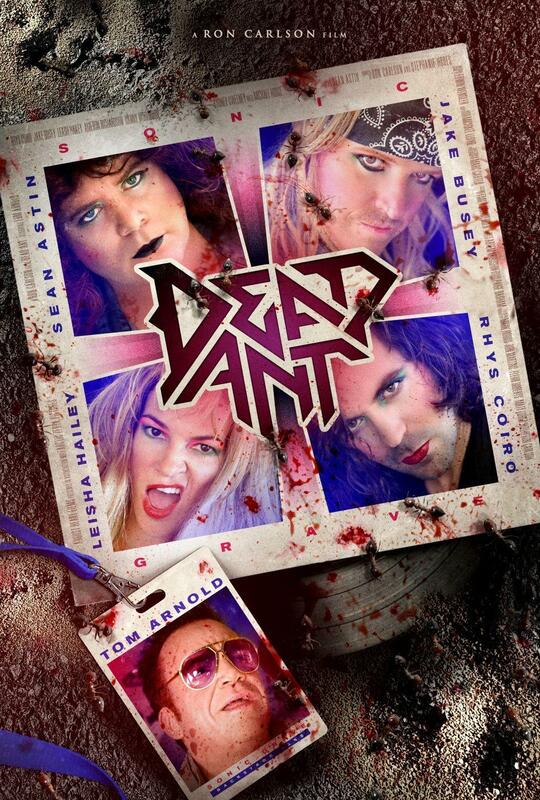 This week, Screamfest will kick off a new year of horror celebrations with a "Fears & Beers" screening of the new rock and roll creature feature Dead Ant, followed by a Q&A with co-stars Jake Busey, Sean Astin, Tom Arnold, and more! 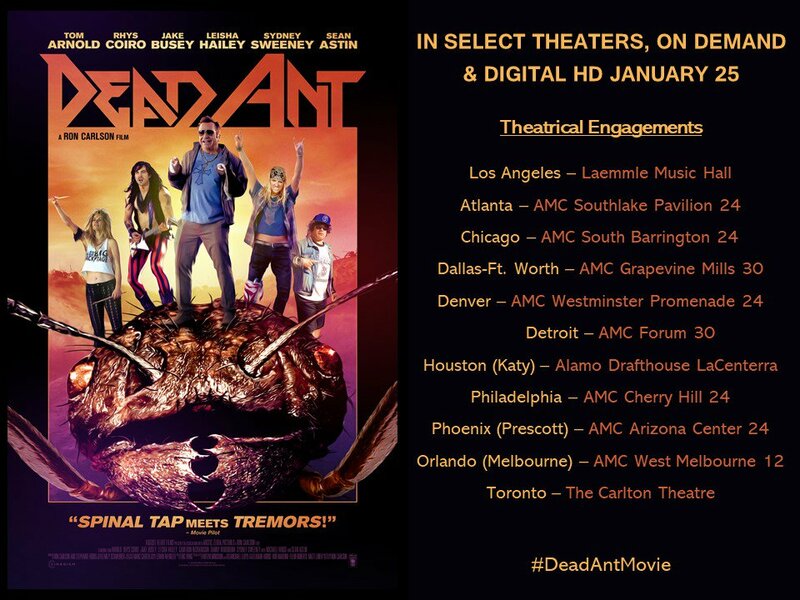 The Dead Ant Fears & Beers screening will take place at Hollywood's TCL Chinese 6 Theaters on Tuesday, January 22nd (ahead of the movie's theatrical release on January 25th). Read on for additional details, and visit Eventbrite and Screamfest's official website to learn more about purchasing tickets for the screening and Q&A, which will be moderated by Brian Collins of Birth.Movies.Death. Synopsis: When the 1989 "one-hit-wonder" glam-metal band "Sonic Grave" embark on a trip to Coachella in hopes of a comeback, their peyote trip pit stop in Joshua Tree incites an "unworldly" viscous attack, and they must "rock" themselves out of harms way. Important: Please bring your Eventbrite email confirmation with ticket pdf via your phone or printed to the TCL Chinese 6 Theaters located on the 3rd floor of Hollywood & Highland. Check in at the Screamfest Will Call table located in the lobby where you will show us your email confirmation ticket or printed ticket and receive a movie & wine ticket. If you cannot find your email confirmation just enter your email address at http://eventbrite.com/gettickets. Don't forget to get your parking ticket validated at the Box Office.